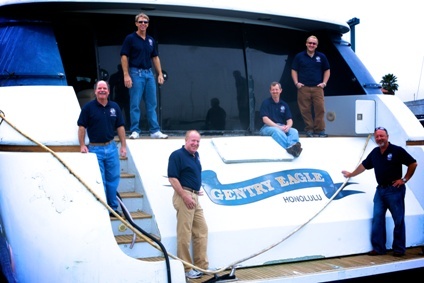 Set the world record for the fastest nautical circumnavigation of the earth in a power boat. We do this to honor the upcoming 500th anniversary of Ferdinand Magellan’s historic expedition. In 1519 Magellan set sail with 5 ships and 270 men. Three years later 18 men returned on the Victoria, the only ship to complete the voyage. These brave souls were the first people to ever circumnavigate the earth. We celebrate these men and all who have dared to take on the challenge of the seas, for it is these men who explored and unlocked the world for all humanity. For many it cost them their lives. Even today, the sea still takes the lives of many. We challenge it with ours.